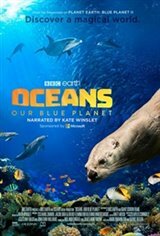 Oceans: Our Blue Planet takes audiences on a global odyssey into the largest and least explored habitat on earth. Our first stop is the coral reefs, where we meet fascinating characters like the ingenious tuskfish that uses a tool to open its food. In the great forests of the sea, we find a cunning octopus who shields herself in an armoury of shells to hide from predators. In Antarctica, we explore unparalleled depths and encounter a seafloor rich with marine life. As we journey through our oceans, we share these extraordinary discoveries and uncover a spectacular world of marine wildlife beneath the waves.